Learn how to create cleaner, fresher air inside your home so you can enjoy a healthier life. Find out everything there is to know about air purifiers, including what they do, how they operate, how they can help and the benefits they provide for your health. You’ll discover that not all air purifiers are designed to clean the air in the same way and a device that may be good for one situation might not be right for another. You’ll also find out what the best home air purifier is for specific indoor conditions. 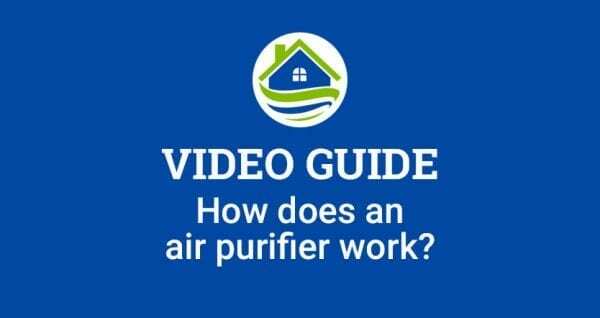 What Does a Air Purifier Do? What is a HEPA Air Purifer? Our site wouldn’t be complete without a section on air purifier reviews. In our product reviews section, we highlight the best air purifiers on the market and show you the pros and cons of each device. We also have several buyer guides that can help you narrow down your search. If you’re trying to find information on a high quality air purifying product, this section can really help. Compare and contrast the top products quickly and easily. The sad truth is that bad indoor air quality is affecting the lives of millions of people without them even knowing it. Numerous health diseases and illnesses are a direct result from silent toxins. In our air quality facts section, you’ll find important information about air pollution and how it affects your well-being. While our site is highly focused on air purifying resources, we now have a new section that’s focused on air conditioning and cooling. If you’d like to learn more about how window and portable air conditioners can be a beneifit inside your home then you’ll find a great set of articles in this section. Did you know that the air quality indoors is 2-5x worse than the outside? And, that the average person spends 90% of their time inside surrounded by harmful pollutants? Those two facts come directly from the U.S. Environmental Protection Agency. It’s no wonder why health issues like asthma, allergies and other respiratory diseases are on the rise, and why these types of problems are affecting more and more people around the globe each year. Unfortunately, the worst thing about bad air quality is that it's silent and (mostly) invisible. For those of you who aleady have respiratory sensitivities, you probably notice the effects of poor indoor air much faster, however, for many others they may not even recognize the negative impacts until it has become too late and serious illness has been developed. Our website is one of the top resources for information on indoor air quality and air purifiers. To help spread awarness about how serious the issue of home air quality is for human health, all of the information on our site is provided as a free service to help you understand the real causes behind bad indoor air, the effects it has on people and how it can be avoided. We also share with you valuable information on how home air purifiers work and what to look for in the best air purifiers for your needs, because everyone is different. As you go through our site, you’ll find that all of the questions you have about how to improve the air quality indoors are answered in an easy to understand format without any confusing technical jargon. For example, we put together a list of the top questions about air purifiers and answered them in 50 words or less. 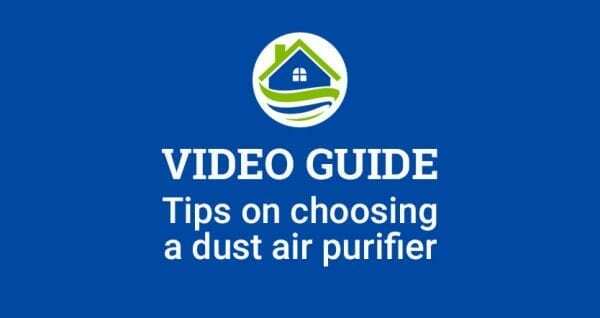 We also have a ton of free guides for you to use that will help you become an expert on how each of the different types of air purifiers work and know which product is best suited for different types of situations. Samples of these resources are linked near the top of this page. As you can see, we’ve tried to make our site the most valuable resource for home air quality and air purifer resources. We hope you take advantage of everything we have to offer and become better educated about indoor air pollution, as well as air purifiers and how they can be beneficial to your life. Are You Completely New to Air Purifiers? Start Here! If you know absolutely nothing about air purifiers (or just need a quick refresher) then this short introduction below will help you. Once you’re caught up to speed, we suggest that you visit our About Air Purifiers section or How Air Purifiers Can Help section above to learn more about the best ways in which air purifiers can be a benefit in your home. In simple terms, an air purifier is a device that’s been specially designed to remove harmful particles and toxins from the air. This creates a cleaner airspace around you and provides fresher air for you to breathe. Depending on the kind of air purifier you buy will determine which type of contaminants it can remove from the air. Examples of this include dust, pollen, mold, fungi, pet dander, smoke, viruses and bacteria. To find out more about how an air purifier works and how can you improve indoor air quality, take a look at our section on what air purifiers can do for you. When looking for an air purifier for your home, you’ll notice that certain features keep popping up – elements that manufacturers highlight in order to get you to buy their product. When you’re comparing two or more air purifying devices there are really only a few key features you should care about. Anything else a product promotes is most likely just marketing hype to make a sale and you shouldn’t worry about it. Read below to find out which options actually matter for when you’re buying an air purifier. Here’s something you may not know: Every air purifier is designed to work best with with a specific type of filter. Each of these filters are manufactured to get rid of certain types of particles. Some air purifiers may feature only one type of filter, while others may contain a combination of two or more. When looking for the right air purifier for your home, it’s important for you to know which kind of particles each filter is best at removing. Then, you’ll know what product is best for your specific needs. One of the most common filter types you’ll come across when looking for an air purifier is a HEPA filter. HEPA stands for High Efficiency Particulate Air. This type of filter is rated to capture 99.97% of harmful particles from the air. For this reason, it’s the most highly recommended type of air purifier by doctors and allergists. It gets rid of most allergens and dust particles that cause breathing problems. Devices that use this type of air filtering go by the name “Ionizer.” It works by sending out negatively charged ions into the air that attach to positively charged particles like dust and other common allergens. Once this bond is made, these particles become very heavy and can’t remain in the air. Therefore, they fall to the ground and don’t enter into your lungs when breathing. A UV light is a unique type of air purifying technology because it actually kills harmful bacteria, viruses and other pathogens that make you sick. An Activated Carbon Filter is the only kind of filter that removes particles from the air that cause smells and odors. It’s highly efficient at getting rid of odors created by chemicals, mold, smoke, gases, paints, pets and other contributing factors around the house. Below, are some additional things you should consider when looking for the best air purifier for your home. Keep these features in mind as you’re comparing different products. Of all of the specifications related to air purifiers, the CADR rating is the most important. Why? Because, it tells you how well the product actually cleanses the air. CADR stands for Clean Air Delivery Rate. This rating is calculated by the Association of Home Appliance Manufacturers (AHAM) and it stamps its certification only on those products that meet a specific criteria. What you’ll find on these types of devices is a scientifically backed set of numbers that tells you exactly how effective an air purifying product is against removing dust, pollen and tobacco smoke. If a device doesn’t include this certification, it’s anyone’s best guess how effective the air purifier really is purifying the air around you. The ACH rating stands for Air Changes Per Hour Rating. This specification is important because it tells you how often the air is exchanged each hour by the device. For example, an ACH rating of 7x means that the air is filtered 7 times per hour within a room. An easy rule to remember is that the higher the number, the better the product operates. The lower the number, the less efficient it is at purifying the air inside the room. If you’d like to learn more about this rating, check out our dedicated article on the ACH Rating here. Another important aspect to consider when buying an air purifier is to find out what the maximum space coverage it can purify. Every air purifying product is designed to purify a space up to a certain amount of square footage. This number is crucial because if you don’t account for it you’ll be wasting your money. For example, if a product that’s rated to purify a space up to 200 sq. ft. is put inside a room that’s 400 sq. ft. in size, it’s a waste of money because it can’t handle that large of an air space. On the other hand, if a device can purify a room up to 400 sq. ft. and it’s placed inside a room that is only 200 sq. ft. in size, you’re using a product that’s too powerful for the room and you’re wasting money on a larger electricity bill. For more information, click on the heading link above to find out how to properly size an air purifier for the space you want to use it in. When comparing air purifiers, it’s always good to take note if a product includes the Energy Star certification or not. This label provides you with assurance that the device not only uses the least energy possible, but also doesn’t waste your money on higher electric bills. We recommend that you always choose an air purifier that includes this certification. Without it, you’ll never know much energy it uses per month to operate. For additional information, visit the link above to find out why the Energy Star label is important for an air purifier. We hope that our short guide above was helpful for you to quickly understand what is the best air purifier features look for when comparing products. What we recommend for you to do now is browse through the various sections of our site. 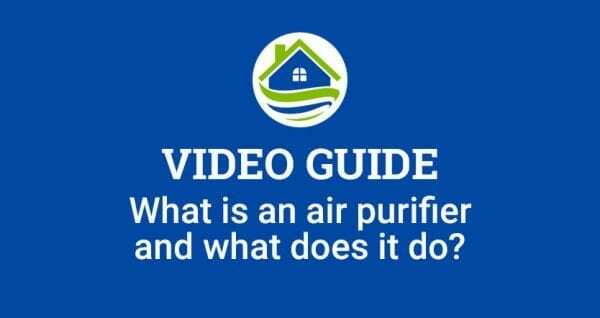 If you’re looking to dig deeper into getting answers to common questions about air purifiers or still want to understand why you should even get one, visit our About section to get these answers. If you want to find out how to fix a specific problem inside your home, such as pet dander, pollen, smoke, etc., then check out the How Air Purifiers Can Help section. If you’re ready to move on and start reading ratings and reviews for air purifiers, then jump over to our Product Reviews section. There, we go over all of the top products in the market and share with you reasons for why you may want to try it in your home. After browsing through our site, if you still have any questions, feel free to contact us so that we can try to help. As we stated in the beginning of this article, our goal is to help you find the best air purifying product for your needs. If you still can’t find what you’re looking for on our site, we’ll be happy to try and guide you in the right direction so that all of your questions are answered.